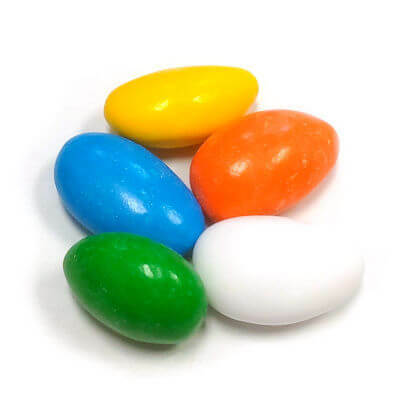 Enjoy these sugar free jordan almonds with no guilt. Assorted colors. Sweetened with Maltitol. Approx 8 pieces per oz. 8 oz bag.